Hype up your students on St. Patrick's Day this year! Let them know that they don't just rock, they shamrock. Bring the luck of the Irish in to the classroom this March with this festive t-shirt. Don't forget to customize it with your very own personalized catchphrase! 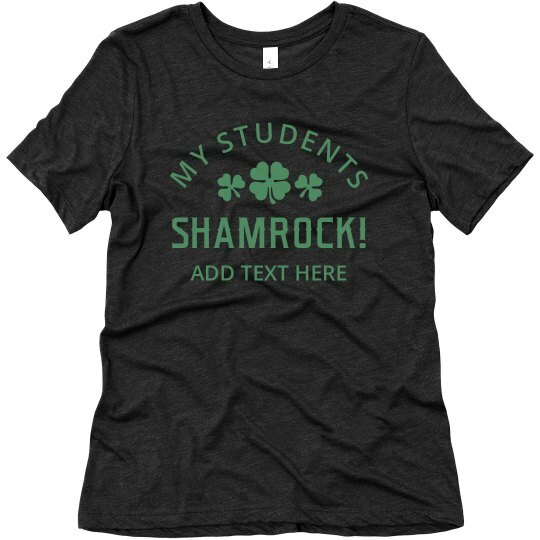 Custom Text: MY STUDENTS | ADD TEXT HERE | SHAMROCK!